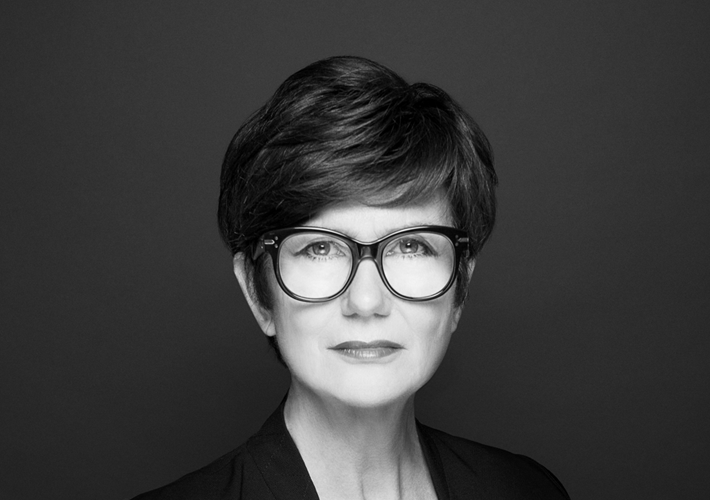 One of the most noted figures in international fashion education, Linda Loppa boasts a CV that spans 25 years alone as head of the Royal Academy of Fine Arts in Antwerp, the renowned school from which some of fashion’s leading names (hers included) have graduated; and whom she has taught. Balenciaga’s Demna Gvasalia and Calvin Klein’s Raf Simons, as well as Haider Ackermann and Kris Van Assche, feature among a lengthy list that has put her at the helm of identifying and nurturing the best talent of the Belgian fashion scene, and beyond. But her talents don’t stop there: Loppa is also a curator, art director, a trusted fashion voice and critic and was appointed a visiting fellowship to the University of the Arts in 2016. Graduating in 1971, she worked first at an outerwear company before launching her own boutique, Loppa, in 1978. Her father and grandfather had both been tailors; fashion would therefore prove inescapable though she had considered avenues in architecture or furniture design, before eventually enrolling in fashion design at the Academy. While running her own boutique, Loppa also took on a teaching position at the Academy – a no-brainer given that she found the store to be a pit-stop for students wanting advice: stocking designs from the likes of Jean Paul Gaultier and Comme des Garcons. In 1991, deciding to close the store due to the political climate, she joined the commercial team at Dries Van Noten before embarking on a series of curatorial and further teaching positions: at the Flanders Fashion Institute, as the director of the Fashion Museum Antwerp and as the director of Polimoda International Institute Fashion Design & Marketing in Florence. Since 2016, she has been director of its Strategy and Vision platform, based in Paris. Loppa has been nominated by Time magazine as one of the 25 most influential people in the fashion world; has featured on industry title Business of Fashion’s BoF 500 Hall of Fame since 2014; and has regularly held panel and jury positions for prestigious support initiatives such as the LVMH Young Designer Fashion Prize and the Woolmark Prize; as well as exhibitions including MoMa’s Items, Is Fashion Modern? in New York.